Max- 50 Years as on date of receipt of Application. Graduate / Post Graduate degree. 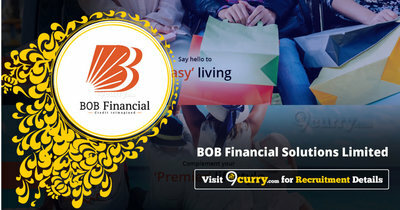 Eligible candidates may email to careers@bobfinancial.com with the subject as “Regional Sales Manager” on or before 24 Apr 2019.